How ironic that Sugarloaf and Sunday River are again under the same parent company. Maine’s two big ski areas were fierce rivals in the 90’s waging all out media war against one another. The name-calling and harsh accusations over the radio and in print became so heated, they ended up before a judge, who sternly advised them to resolve this outside the court. Then along came Les Otten’s purchase of the “Loaf” in 97, and the ugly war of words ceased. Down came the disparaging signage at Sugarloaf, which sarcastically stated as you were half way up the lift, “If you were at Sunday River, you’d be at the top now”. 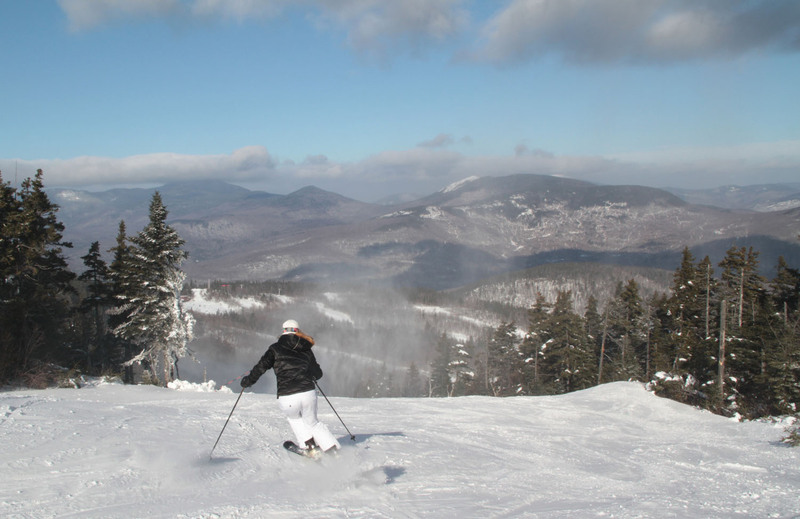 Sunday River’s radio ads no longer verbally bashed the Loaf. Skiers and riders were led to believe these newfound sisters were harmonious. Smart skiers rejoiced and recognized the value of the multi-mountain pass good at both. Then in 2007, ASC had a fire-sale of resorts, dissolved, and sold the competitive sisters together to Boyne USA – package deal. Both Mountains swear to over 130 trails and 92% snowmaking, interesting coincidences in math. 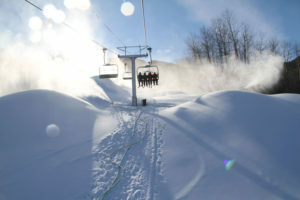 But Sunday River boasts 16 lifts, 2 more than the Loaf, and more of them high speed. 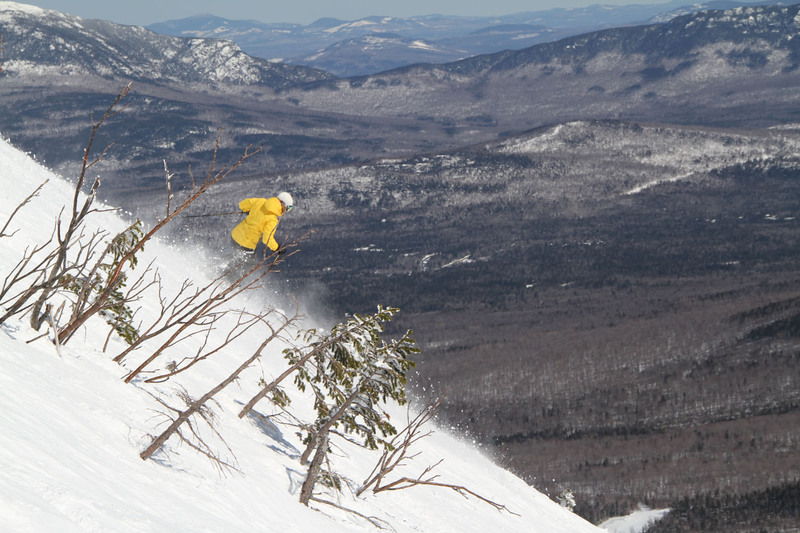 Both have added glades, Brackett Basin at the Loaf and Blind Ambition expansion at the River. 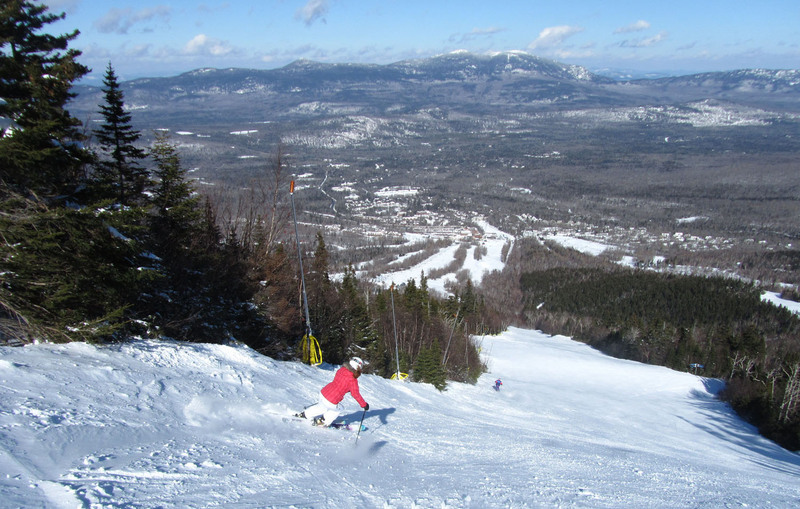 Sugarloaf has some great long runs, of course you have to take several lifts to obtain that endurance run, and be prepared for the run out at the base. Sunday River runs aren’t very long, with an average descent of a mile, but it is consistent fall line terrain with no run out. The “River’s” pod system of mountain development offers at least one high capacity lift and a trail network with a choice of Black Diamond or Blue Square runs on each mountain peak. 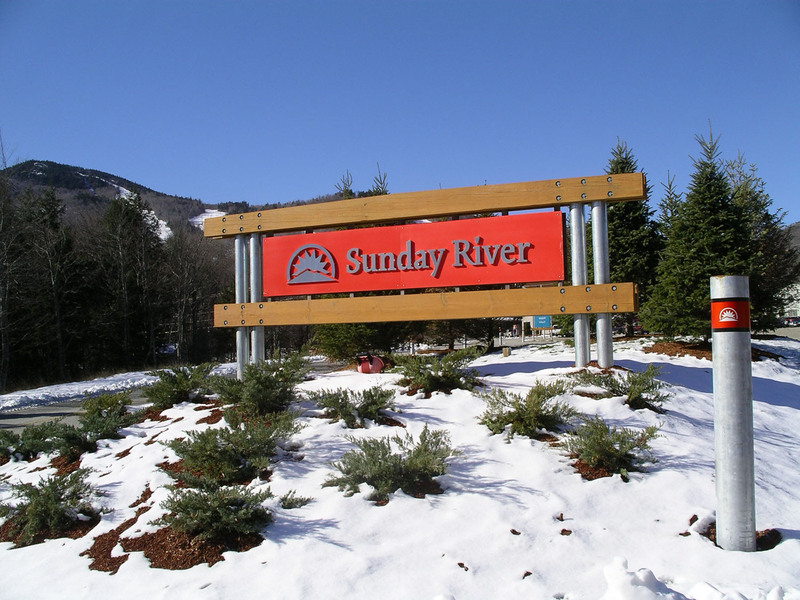 Dr. Knowles remarks, “Sunday River continues to increase the variety of trails, so there are so many choices.” No wonder Sunday River received the National Ski Area Design Award; this area has been very meticulously laid out by Les Otten and his design team. So which would you prefer? One big mountain or eight smaller interconnected peaks? “I enjoy Sugarloaf too, but at Sunday River, I really appreciate the modern lift system, the dependable snowmaking coverage and I can always find a lift that’s not crowded,” states Wesley Mills of Kennebunk, Maine. There is another aspect that truly distinguishes these two Maine ski destinations. Though geographically near, each has tremendously different character. Sugarloaf has the charm of a genuine community nestled at the foot of its big snowy mountain where you can walk from most condos to the Village Center. “I love going to The Bag and Gheppetos, its like old friends, nothing changes, they keep it up to date and all, but its not just a parking lot and a lodge”, adds Mullen. Sunday River, on the other hand, has multiple base facilities, which are equipped to handle the skier traffic. The addition of the Jordan Grand Hotel this year, to augment the Grand Summit Hotel, is designed to give this ski area more resort amenities. Plans are in the works for a major slopeside village in the Jordan Grand area, to accomplish four season resort status with the Sunday River Golf Course…like sister Sugarloaf ..
Now that Maine’s two big guns are both owned by Boyne USA, the skiers and riders are left to bicker about whose better – or enjoy the conglomerate New England season pass. Fortunately, the mud slinging is over. That kind of childish battle for the almighty skier dollar may well have been turning people off completely. Now these two ski areas are equally endorsed and favorably promoted, consumers can “have at it” and decide for themselves. Or do as I do, experience them both for their uniqueness. 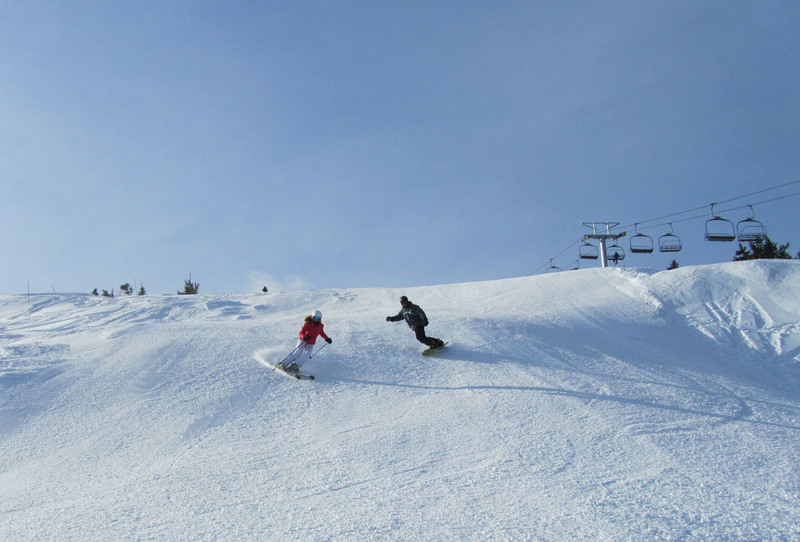 Still, the comparison can make for great chair lift opening liners, if you enjoy a heated topic to warm you up during an otherwise chilly ride.